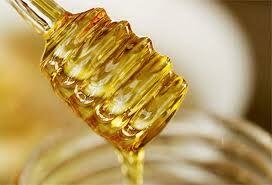 To make mead is to make wine from honey; wine that will delight your taste buds, and impress your friends. At first, I never thought I would find joy in mead making, but like any creative wine maker decided to give it a try. Thank goodness that I did! When you make mead, you are making more than just honey wine. You are making wine that reaches far back into the history of wine making. You are connecting with the ancient history of wine making, and developing a deeper understanding of the origins of the earliest crafters of wine. Making mead will bring you to the core of wine making: simple ingredients, an age old process, and an end result that will bring a smile to your face and warmth to your belly. As you experiment with different ways to make mead, you will find a near endless variety of amazing wines to be had. Let your creativity flow, experiment, and above all have fun. I will update this page with new and interesting recipes often, so keep checking back. A mead is a wine that has no flavoring other then honey. A variation to the mead is the metheglin, which has more flavor and complexity due to added herbs and spices, and the mulsum or melomel that is made with fruit for additional flavoring. The sack mead recipe will yield a sweet, light wine. This is the first recipe that I tried, and was very pleased with the result. Enjoy. Boil the honey in water with a ratio of 2 parts water to 1 part honey for about 15 minutes. Skim the foam off the top. The foam contains impurities in the honey. Let the honey mixture cool, and then pour it into your primary fermenter. Add the acid, pectic enzyme, and enough water to make 1 gallon. Add the Campden tablet (crushed), and let the mixture stand (well covered) for 24 hours. In a measuring cup or jar, combine the yeast, yeast nutrient, and orange juice. Mix it well, and let it stand until bubbly. Add to your honey mixture. Add the tannin, cover loosely, and let your mixture ferment. When the active fermentation starts to slow (3-5 days) rack into a secondary container and attach an airlock. To aid in clearing, siphon again in 3 months. When the wine is clear, rack again and bottle. Pour a glass (or three) and relish in your mead making accomplishment!